September 2, 2013 October 12, 2016 Home / Uncategorized / A night to remember. 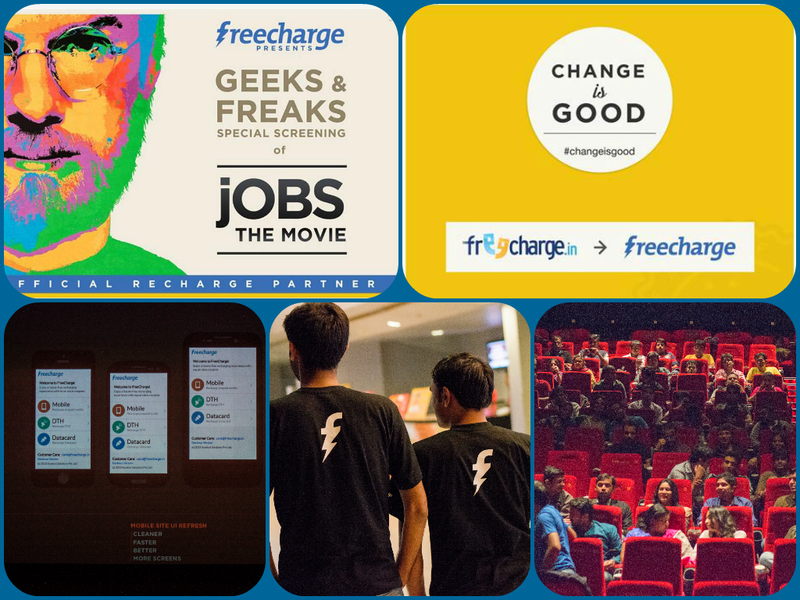 We burnt a lot of midnight oil, finished 3 years, changed our logo, did back to back grave yard shifts, touched 3 lakh fans on Facebook, launched our mobile site, forgot we were doing a job, and landed up celebrating with Jobs – the movie. Ironic, eh? That’s how we roll. 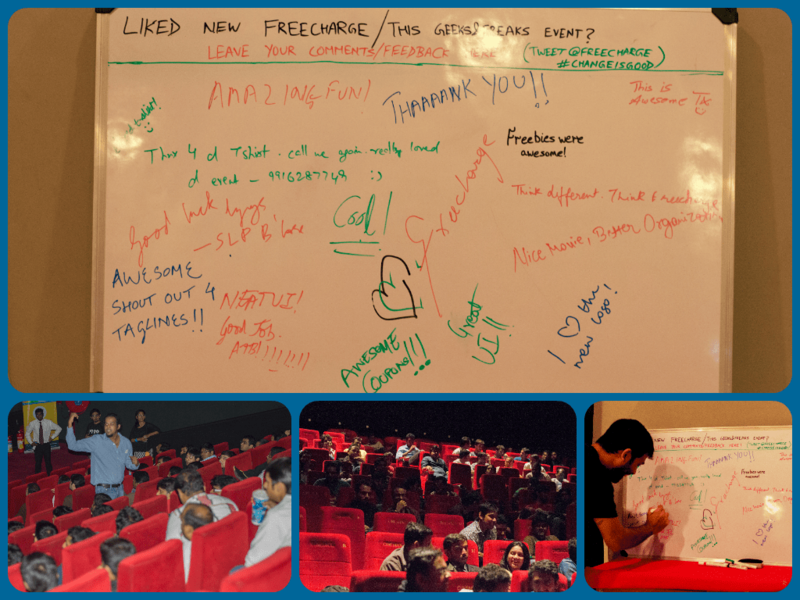 We invited a cool bunch comprising UI/UX geeks, design freaks, FreeCharge fans, PR people, Apple fanatics, and of course, movie buffs, to watch the much-awaited biopic. The movie theatre was all ours. Free popcorn and cola always tastes good. Ditto on the movie. The turnout was even better. It was a fun Friday evening, overall. But we’ll let you be the judge. Here’s a glimpse of the night that was. Where did this Event take place? Oh, anyways couldn’t have attended then. Are you planning for some event in Mumbai? @Darshan, stay tuned to our Twitter page, we’ll come up with something soon!